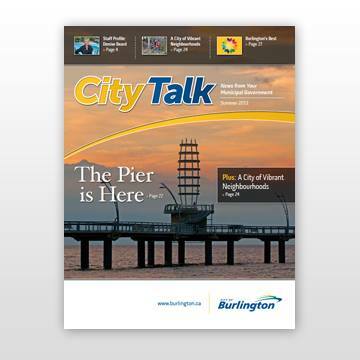 The current issue of Burlington’s City Talk chatters a lot about civic engagement/service – such as City Hall’s use of social media. In his Ward 4 report, longtime Councillor Jack Dennison remarked: “Now, I most often communicate with my constituents online through email blasts, my Ward 4 webpages, Twitter and of course, City Talk”. I was struck by his Twitter comment. I know our Councillor is on Facebook – although his last post was in 2010 (shortly before election day). But Twitter? Let’s take a closer look. Here’s the real history of Council tweeters, up to October 28, 2013…..
And then, well, there’s the rest…..
Ward 3 Councillor John Taylor recently admitted to the local media that he had finally embraced Twitter (I’m not a big fan of it either), and was exploring how to use it. True, Councillor Dennison also has a Twitter account – now! He’s arrived very late to the social media party, and his Twitter comment in City Talk seems misleading or disingenuous in light of the upcoming election (7 tweets since the 2010 election isn’t “often”). But let’s applaud the effort. A small reminder why it’s important to filter what politicians tell you, and not accept things at face value (even if it’s on Facebook). Something to tweet about anyway. Special mention should be made about the City of Burlington – which tweets a ton (currently at 3,698), but not quite at the impressive pace of our Mayor and the Ward 2 Councillor.